Did you know that you can record videos from YouTube to your iPhone (X/8/8 Plus/7/7 Plus/6s) directly and watch YouTube on iPhone while offline? If you are wondering how to record YouTube videos on iPhone, worry no more because there are a number of YouTube Recorder apps for iPhone to record YouTube videos on your iPhone. However, some of these apps may experience format compatibility issues. This is on the grounds that, YouTube recordings are in FLV format, which is not compatible with iPhone. In this article, we will show you 2 easy ways to record YouTube videos to iPhone. To record YouTube videos on iPhone (including iPhone X, iPhone 8) easily, the best way is to use iTube Studio YouTube downloader. This YouTube recorder for iPhone is one of the best YouTube recorder for iPhone to record YouTube videos in their original quality. iTube Studio comes with excellent features that make it a must have video tool for all iPhone users. Fast record any online video from any online site according to your need. Download videos from 10,000+ sites including YouTube, Metacafe, Vimeo, Dailymotion, etc. Support to one click download all the videos in YouTube playlist or Lynda Playlist. Convert the downloaded videos to other video or audio format, even to device format. Offer a Private Mode to protect your downloading information with a password known by yourself. 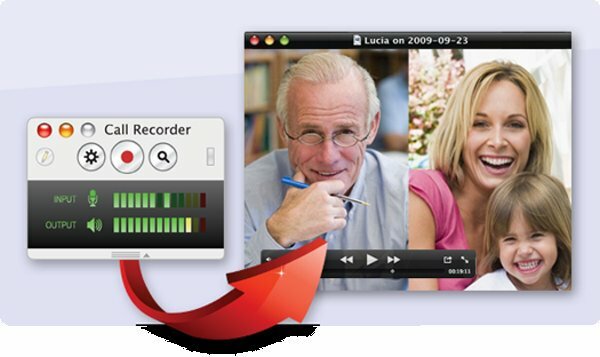 Download and install the YouTube video recorder on your Mac or Windows PC. Double-click on the icon of the YouTube recorder and downloader to get started. Navigate to the YouTube website and open the YouTube video that you want to record and begin playing it. In the video window, click the "Download" button and select the video resolution you want. And the program will start recording YouTube videos. When you have recorded all the videos you want, go to the "Downloaded" tab to check the videos. And click the "Convert" button to select iPhone device as the target output. 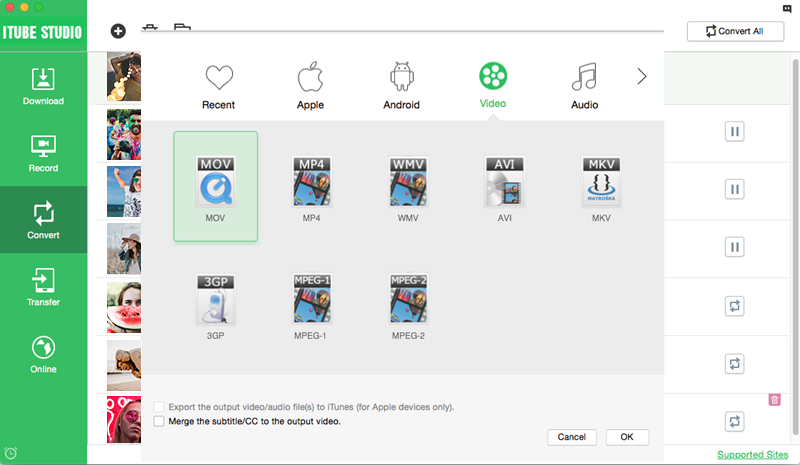 And then Check the "Export Output Video/Audio to iTunes" option. Once the conversion finished, you can sync the YouTube videos to your iPhone. That is all! There are a number of free apps available to you if you want to record YouTube videos on your iPhone. Shou is the best free app that can perform this task in the quickest and easiest manner possible. It can record your iPhone’s screen so anything you are playing on it will be recorded instantly in the best possible quality. However, do bear in mind that the Shou app is not available on the Apple App Store so you will have to get it from the Emu4ios Store which can be downloaded from emu4ios.net. 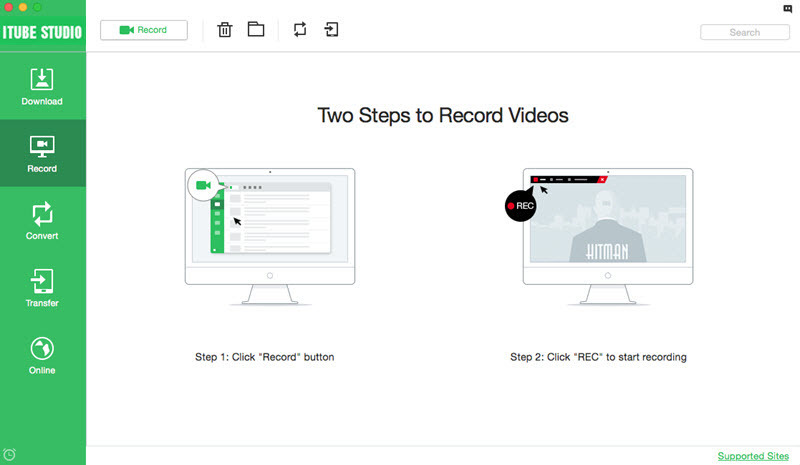 You can use the following steps for recording YouTube videos on your iPhone using Shou. Find and install Shou app from Emu4ios Store, then launch the app and sign in using your Facebook account. 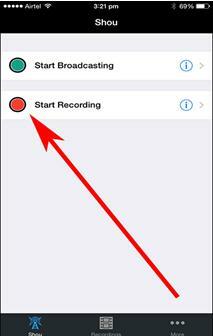 Click the “Start Recording” button to initiate the recording process. Come out of the app and start playing the YouTube video you want to record. Shou YouTube recorder app will continue to record the YouTube video being played on your iPhone’s screen. Tap the red banner on top of your iPhone screen to stop the recording process when you have completely recorded the video. 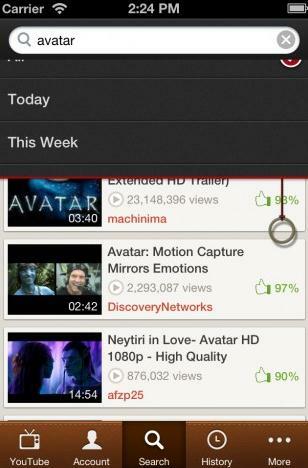 MacTubes is a free YouTube video player and downloader for iPhone. You can make playlists and download video files. This app allows the user to download recordings from YouTube as MP4 or HD. However, the size of HD video makes it hard for individuals with slow internet to download. For such people, the ideal arrangement would be MP4, as iPhone can play this configuration without any issues. However, one of the undeniable deformities of this free YouTube to iPhone downloader is that it downloads YouTube recordings on Safari 6 and is only compatible with Mac OS X. 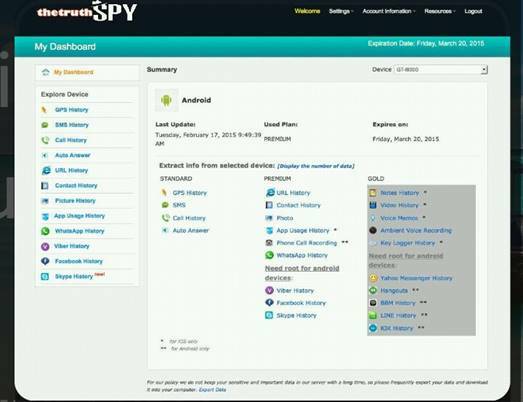 First, you need to search for the software by from the host site www.macupdate.com and download the app. Install and Launch the application on your iPhone, then find a YouTube video you need to download through this YouTube recorder. Right tap on the the rundown and pick Download from the pop-up menu. The download window is like Safari's and will demonstrate a rundown of downloaded recordings and their download progress. This is a free YouTube downloader app for iPhone created by Apple. It can download any YouTube recordings you need to watch. The download speed is quick but is contingent upon your internet service provider and the length of the video. Additionally, the app is able to link all your videos and this enables you to watch all your videos without delay. It also features a playlist that puts together all your videos for easy access. First go to the App Store, search for "Video Downloader Lite Super" and download the application, then launch the iPhone YouTube recorder. Navigate to the address bar and type www.youtube.com, search for a video and play it, you will see a pop-up with the choice to download. Tap on Download and hold up for some few seconds, then you can click on "Downloads" to see the download progress.